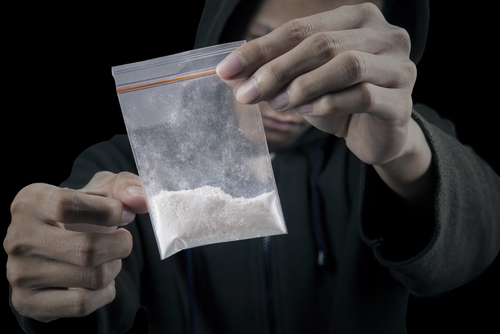 Around 17 million people in the world are active cocaine users. Most of these are in Europe and North America. That means that these two continents alone are responsible for about 80% of the global cocaine profits, or about $88 billion dollars. Though it’s hard to say exactly how the distribution lines occur, it’s reasonable to assume that the 40+ years cocaine producers have been operating has been ample time for them to organize their supply lines well. Cocaine shipments are done on a larger scale than other drugs, with the quantity of cocaine seized in the average bust coming to 10 or 20 times the quantity of that seized in heroin busts. In 2007, 24 tons were seized in a single drug bust in Mexico (the largest single bust ever). This gives an idea of the scope of cocaine operations. The profitability of cocaine seems particularly alluring. It corrupts many. Even the retired Colombian Police General Mauricio Santoyo turned himself in 2012, admitting that he had helped to smuggle cocaine into the United States and Mexico while he was ostensibly working for the president of Colombia. Why would he do such a thing, betraying the very people he was employed to defend? Profit. In an example from closer to home, a 34-year-old businessman named Marco Melchor, from Erie, PA, was already the owner of two restaurants when he decided to get involved in cocaine. He was the brains behind a cocaine ring that brought at least $4.8 million dollars’ worth (a conservative estimate) of cocaine to the region over the course of a few years. He hid some of it in one of his restaurants before distributing it to clients. Mr. Melchor and his associates’ drug ring was one of the biggest cocaine suppliers to the area, bringing in an estimated 200 kg of cocaine before being caught by police. Having a going cocaine operation also means that one has pre-made avenues to distribute other drugs along. In Mr. Melchor’s case, he is accused of also dealing methamphetamine and heroin. One of his associates is also being charged with importing over $1.6 million in marijuana, but it’s unclear how closely Mr. Melchor was associated with that particular crime. The surprising thing about all this is that cocaine profits have been declining recently. The demand for cocaine in North America has been falling for years now, and cartels are having to shift gears, streamlining their operations or switching to other drugs. From 1998 to 2008, the amount of cocaine being imported to North America dropped from 267 metric tons to 165 metric tons—a drastic drop in what used to be a very popular drug. It still has a good foothold but it’s losing ground to the myriad of other (cheaper) choices. Another fact to take into account is that the Colombian drug runners have been suffering losses for years. The amount of product coming out of Colombia, which has historically supplied most of the United States’ cocaine, has been dropping as the country struggles (and slowly succeeds) at getting its drug cartels under control. This has opened the playing field for the Mexican cartels, who are now supplying most of the United States’ cocaine. However, they’re not as interested in cocaine as they are in other drugs like heroin or methamphetamine. The cartels have been switching gears and focusing heavily on these more profitable options. There are still plenty of drug busts happening along the US-Mexican border, but the DEA reports that from 2011 to 2012, the amount of cocaine seized at the Mexican border dropped by 58%.